Quebecs hotel is a Grade II listed 4 star luxury hotel with 44 rooms located in the heart of Leeds on Quebec Street. As the only independently owned luxury hotel in central Leeds you can expect to find rooms which offer a classic, contemporary and exceptionally comfortable guest experience complemented by a professional yet relaxed team of staff who like to offer an attention to detail you will not experience elsewhere in the city. The Queens, Leeds, AA 4star rating. The Queens is the most famous landmark hotel in Leeds. The imposing building with a Portland Stone façade enjoys an enviable location, adjacent to Leeds train station and stands proudly over City Square with restaurants, bars and shops just a stone’s throw away. The hotel oozes 1930s Art Deco glamour and elegance but the facilities and service will surpass the expectations of today’s business or leisure guest. The Met, Leeds, luxury 4 star hotel. Awarded the accolade of Best Business Hotel in Yorkshire, The Met is a stunning four star, grade two listed hotel in the city centre, unrivalled among hotels in Leeds for its style, character and location. This iconic property with ornate terracotta architecture is stylish and attractive inside and out and positioned just a short stroll from a plethora of shops, restaurants and bars including Trinity Shopping Centre and the Leeds Arena. Bagden Hall Hotel, Denby Dale. 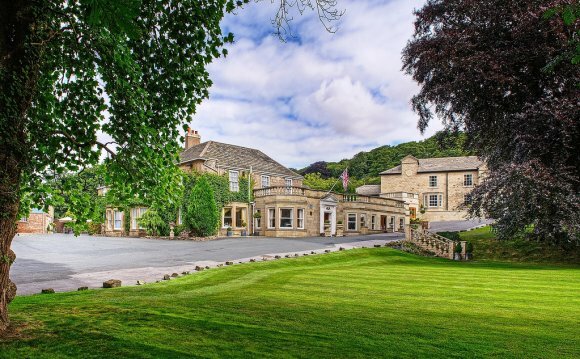 Bagden Hall is a luxurious West Yorkshire country house hotel in stunning grounds offering elegant accommodation. Centrally located in Denby Dale between Leeds and Sheffield, and just ten minutes from junction 39 of the M1. The hotel sits in 40 acres of secluded parkland, with its own lake. We have two dining options, elegant and informal, and our 36 en-suite rooms offer style and comfort befitting an elegant country house.Badgen Hall is a dog-friendly hotel and well-behaved dogs can stay with us free of charge.